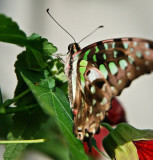 How did you capture such beautiful butterflies? Magnificent....BIG VOTE!!!! Great work on butterflies! V.
What a collection if incredible beauty! V.